Composite image obtained combining exposures through the filters B, V, and R (exposure times were 8 sec, 3 sec, and 2 sec, respectively) acquired by myself and S. Ciroi (Univ. 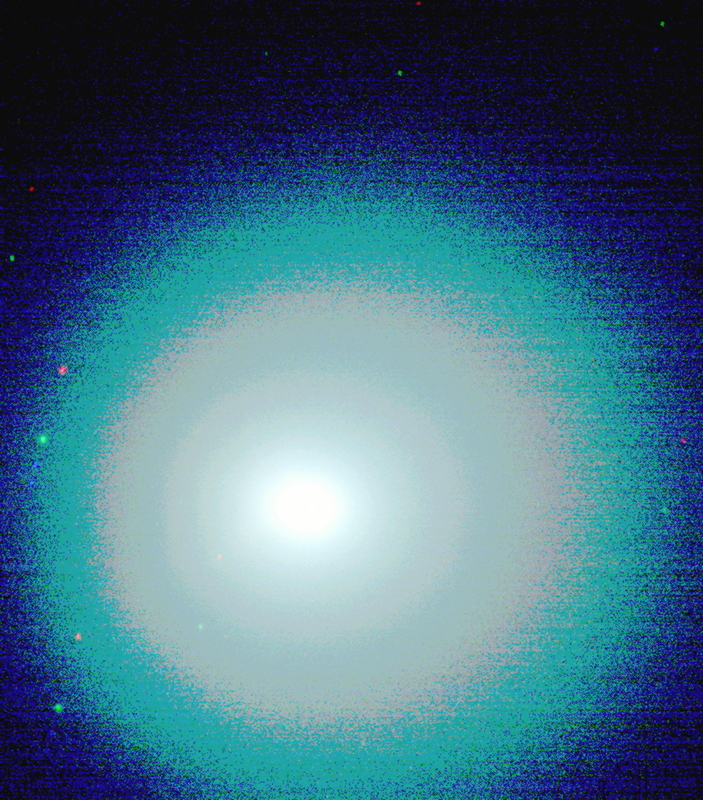 Padova) on 2005 Jan. 7th, with the Asiago Faint Object Spectrograph and Camera (AFOSC) mounted on the Copernico 1.82 m telescope of the Astrophysical Observatory of Asiago (Italy). A photometric calibration has been applied to the fully reduced images before combining them. The composite image was created with The Gimp.